The research seminars are typically held throughout the academic year, acting as a medium for researchers from external institutions to network and discuss their research with the staff and students here at the School of Computing Science and Digital Media, Robert Gordon University. Not only this, but it also allows researchers in the school to publicise their work and can act as a useful proving ground for PhD students to gain invaluable experience in the dissemination of the research they have been conducting. The audience is primarily made up of researchers and PhD students from the school, however one can also expect some MSc & undergraduate students to attend on occasion. The research seminars are typically held in Conference Room N204 at Riverside East, Garthdee Road, Aberdeen, AB10 7GJ. 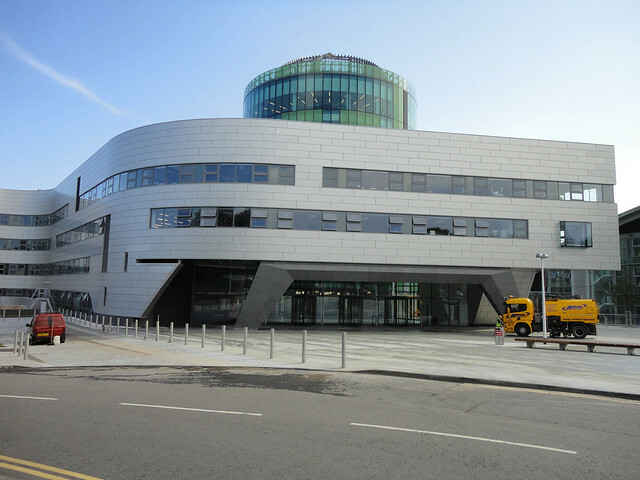 The Garthdee Campus is located a few miles south west of Aberdeen city centre. Most speakers arrive by train which is just a few minutes walk from the main street (Union Street). The number 1 and 2 bus services provide links to campus with the number 1 bus stopping within the campus grounds directly outside the Riverside East building. Getting a Taxi directly from the train station is perhaps the simplest option. Details about the forthcoming talks are distributed through out the School of Computing Science and Digital Media via email and forwarded on accordingly to interested parties. It also appears in a weekly Bulletin emailed out across the University. Postings about the seminars may be seen on the Universities Events page, Google+ and Twitter feed. Other twitter feeds that include details of the seminars include RGU Computing and the feed of the seminar organiser & host. One may also see advertisements in the local papers such as the Evening Express and the Press & Journal. Should you wish to learn more about the research seminars or give a presentation yourself then contact the organiser & host Dr. Daniel C. Doolan (FirstInitial.SecondInitial.Surname @rgu.ac.uk). One can find Dr. Doolan on WordPress, Twitter and YouTube social media channels.